Pre-teen boy making monkey face. Close up child grimacing on abstract blurred background. Kid fooling around. Attractive teenage boy making silly face. Casual teen boy grimacing on blurred background. Young man fooling around. 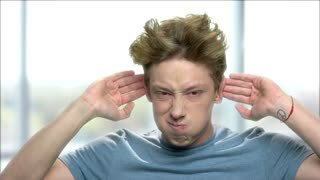 Funny teen boy making monkey face. Close up caucasian teenage boy making funny grimace. Isolated on white background. 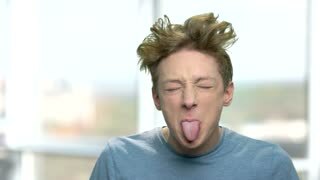 Teenage boy grimacing and showing tongue. Portrait of teen guy making silly face on blurred background. Boy fooling around. Teenage boy teases someone. Caucasian teen guy fooling around. Abstract blurred background. Rude teen boy making grimace. Funny teenage boy teasing someone and looking at camera against blurred background. Teenage boy making funny face. Close up portrait of teen guy grimacing on blurred background. 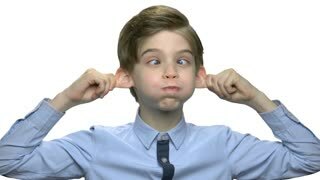 Boy making a monkey face. Funny facial expression. Teen boy making funny face grimace. 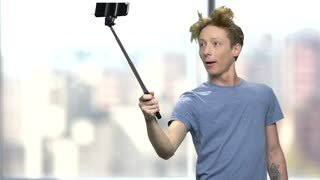 Teenage guy with crazy hoar having fun over white background. Child boy fooling around. 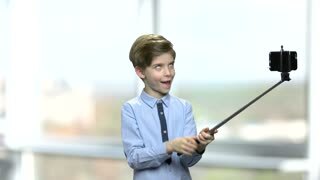 Little boy making funny grimace while making selfie on blurred outdoor background. Preteen boy making funny face grimace. Little caucasian boy making monkey face. Kid fooling around. 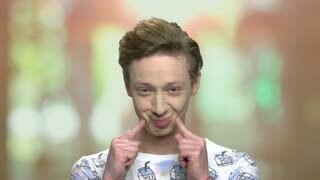 Little caucasian boy fooling around. 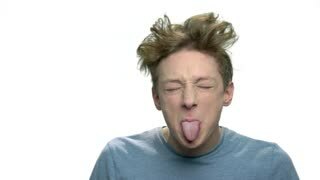 European child boy grimacing and showing tongue while taking selfie. Blurred window background.